I’ve written university posts before and a lot of people found them quite helpful. This is basically a list of things that no one tells you before you go to university. All I was told is “the work will be a lot harder than A-Levels” and “don’t come home if you don’t get a first”. I’m joking, sort of. Student halls isn’t always the party that it’s perceived to be. Of course there’ll be plenty of times where you’re out drinking hot chocolate with your friends and splashing all of your student loan in the nearest shopping centre. However, there’ll also be times where you’re sat in your room by yourself wanting to pull the bricks from your walls. Let me tell you this, I live on an all girls floor and some of the girls are actual creatures. If we didn’t have cleaners in everyday I’m not sure I’d cope. There’s only so many times I can clean the oven and avoid certain showers before I never want to leave my room again. I promise you I’m not exaggerating. One day I wash into the kitchen and the toaster was toasting thin air. Or maybe they were toasting invisible bread. Who knows? You work out the meals that are easy and cheap to cook. Then you stick to them. No matter how many times you’re told what room or block you’re in, it will always happen. Every corridor looks the same. Unless you’re living off of bank of mum and dad, you’re probably going to need to get a job. Or, you could eat tinned soup for dinner every day. But even that’s expensive. You’ll find a lot of them free on Google Books, in your uni library or significantly cheaper as an ebook. If you look at your list and buy everything single one then you’re a fool. And probably a poor fool at that. Save your pennies and don’t buy a book unless it’s absolutely imperative. After a while you’ll find people who share the same interests as you and who you get along with easily. If you don’t find those friends in the first week or even in the first year, it’s not the end of the world and you’ll find them eventually. I’m sure everyone’s had this thought. There’s going to be some part of your course that you don’t like. Maybe it’s a little part, maybe it’s a big part. Try and remember that there’ll be other parts of your course that you’ll enjoy more because one bad module doesn’t mean that your whole uni experience will be bad. If your course is unbearable, maybe consider other courses? If you turn up to a lesson looking like you haven’t washed or brushed your hair in 4 days, nobody seem to notice. And when they do notice, they don’t say anything. 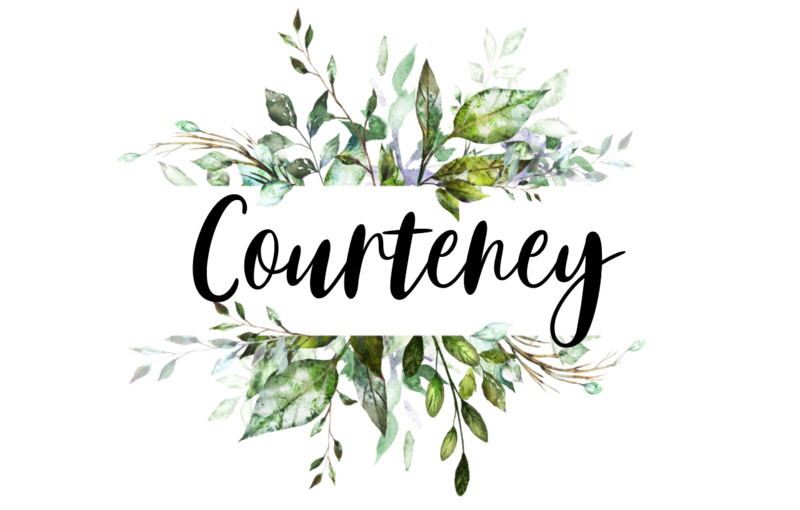 I can no longer be bothered to tell my lecturers if they’re spelling my name wrong and I’ve also been called a few names that are definitely not Courteney before. It’s all part of the fun. Try and remember that your lecturers speaks to hundreds of students on a weekly basis and might struggle to learn them all. Or maybe they don’t care what your name is. This is something that will never make sense to you. Even the unpaid internships want people with experience. I guess it’s one of those things that will never make sense but we just accept anyway. You’ll constantly ask yourself “how am I supposed to gain experience if I can’t get a job?” Don’t worry – everyone else is thinking the same thing. I literally paid £2.20 for Colgate mouthwash the other day. I’m pretty sure I could feed myself for a day on £2.20. You never really appreciate the cost of shampoo, conditioner, body wash etc etc until you move out. Whether it’s free delivery on Deliveroo or a cheap cinema ticket, you’re going to need your student discount at some point. If you sign up to UniDays, you can see all of the discounts available to you. Check this before buying ANYTHING. Food, a laptop, a new coat, anything. Chances are, there’ll be a discount code for it. …until you have to carry it back from Morrisons by yourself. I met one of my best friends during the first week of university – and we are still hanging strong 20 years later. It can be done! Thanks for this post, which made me nostalgic for my uni days – and not so nostalgic for all that money worry (blushes). Congradulations! :p Your blog is decent and interesting hence chose you! This is a good post for anyone starting university- I decided not to go to university because I’d basically just had enough of writing or listening to teachers haha! I have a bit different situation as I’m living at home, but I totally agree that you’re broke most of the time, you eat the same food every day, your freshman year friends disappear, you’re lonely, you’re questioning whether college/uni is even necessary….